I've said it before, and I'm sure I'll say it over and over again until my teaching partner and I are no longer working together. She is, for lack of a better word, my "other half" at work. I could not make it through the week day without her. A couple of weeks ago, I had to schedule a doctor's appointment smack in the middle of our benchmark testing. Since we are departmentalized, "M" gives the math benchmarks to both classes and I give the ELA benchmarks to both classes. We were working within a window, and I didn't know how I was going to spread out the benchmark tests without making our kiddos completely miserable. Enter my sweet partner and friend. She took time out of her day while I was out so that we could squeeze everything in. She is amaze-a-doodles. In return, I made sure the kids had some fact fluency practice while they were with my sub. When M and I started talking about the trade-off, my creative sparks went off. 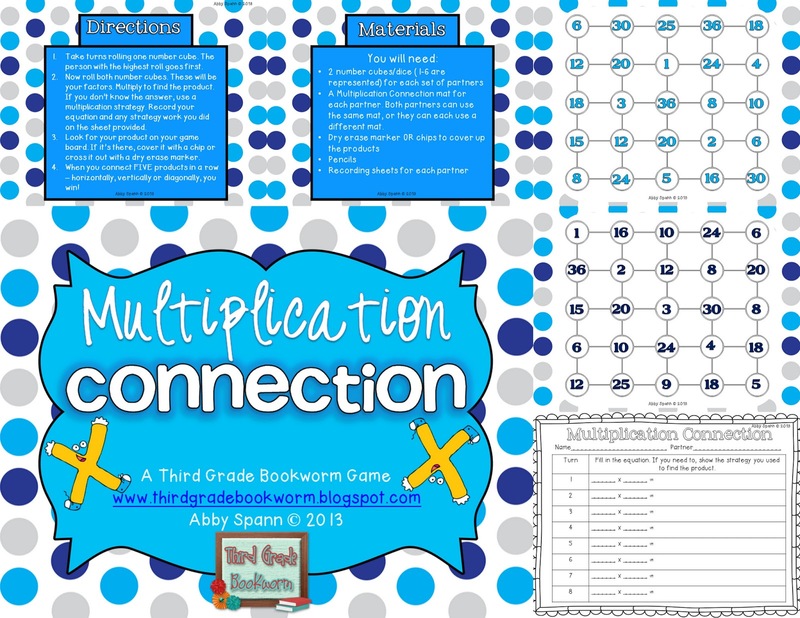 It's a "Connect-5" game that is differentiated to meet the needs of kids who need practice with easier or harder sets of facts. I included 2 versions in the packet. The first version uses traditional 2 dice and helps kids develop fluency with facts 1x1 through 6x6. M encourages our kids to use the skip counting strategy, but I left the recording sheet instructions a little more vague so that you and your students can decide which strategy works best for them. I was so excited to leave this for our kids... and then something TERRIBLE happened. The school laminating machine was out of film. I was out of laminating sheets for my thermal laminator. At home AND at school. M to the rescue. Again. They are not just for portfolios, people. They are for pretend laminating, too. They even play well with dry erase markers! I was relieved. Especially since it was 6:30 p.m. and I only had about 15 minutes to get my sub stuff together before they kicked me out of the building. I came back to rave reviews from the kids. They loved the game and they still ask to play it during indoor recess and during dismissal. No lie. 1. My teaching partner is amaze-a-doodles. I also believe she invented the word "amaze-a-doodles." 2. Sheet protectors are just as good as laminating film at 6:30 p.m.
3. 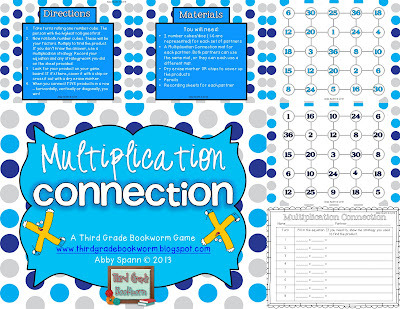 There is a fun new multiplication game in my store(s) and you should check it out! Currently and a St. Patrick's Day Makeover!